Our 3 locations in Las Vegas, Reno & Henderson offers a wide variety of different edibles for our customers. Come by or contact us our knowledgeable staff to help you pick the right edible for you. Cannabis Gummies, Cheeba Chews, Chocolate Bars, Wafers, Drops, Cookies, Brownies, Oils & more. Here at The Dispensary NV, we offer a wide range of tasty, enjoyable edibles infused with cannabis. Perhaps you’d like to try our Affogato Bars, made with a vanilla latte, espresso beans, and caramel. Maybe our Blue Raspberry Gummies are more your style? Whatever your tastes, The Dispensary NV will have an edible product for you. Our helpful staff will be available to answer any questions you may have about these the items on our menu. 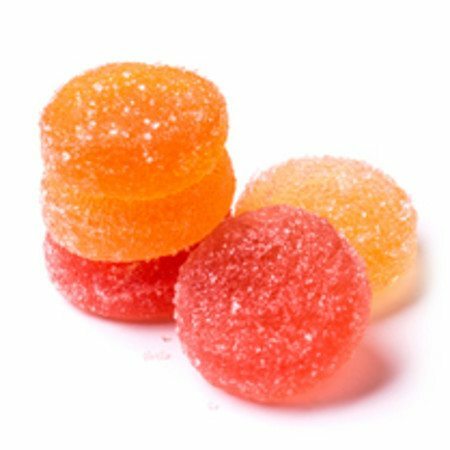 We do understand many people are new to edibles, and we want to ensure our customers have an entirely pleasant experience with our products. Before you make your purchases, here are some important things to know about edibles. Read The Label — Respect Serving Sizes! Since we are a professional establishment, our complete inventory consists of high-quality lab tested products. Every item will have its own label to indicate ingredients and serving sizes. Think of consuming a single serving size to as you would having a single drink in a bar. If you’ve never consumed alcohol before — or you’ve never consumed edible products — you should have a single serving, then wait to see how it affects you before continuing. With edibles, it’s easy to overdo it. Especially when they just taste so good! But go slow, because you know what they say about too much of a good thing. Ingesting too much cannabis too quickly can turn a fun time With time and experience, you’ll learn your own limits and set your own pace. When you smoke or vaporize cannabis, you feel it almost instantly. This means you’re able to tell how much cannabis you’ve consumed and easily decide when you’ve had enough. However, when you eat or drink activated cannabis, this is not the case. As stated before, it’s best to wait between serving sizes when partaking in edible products. Your body needs time to digest and metabolize the food before you’ll feel the effects. The exact amount of time it takes for the edibles to kick in depends in part on your own metabolism. People with faster metabolisms may feel the effects within an hour, while people with a slower metabolism may take two hours or more. As a general rule of thumb, wait until you feel the effects, let it sink in for a bit, and then determine whether or not you would like another serving. Again, this depends on your metabolism. If you’ve never consumed a specific product before, it’s best to give yourself plenty of time for the effects to wear off. Don’t, for example, partake in edibles the night before a big business meeting. Whether or not you’ve eaten will also have an effect on how long the cannabis is in your system. You should eat a proper meal before consuming edibles — not after. Trying to eat after you’ve consumed the edibles can actually push more into your system, rather than diluting what’s already there. When you’re ready to try edibles, the safest way to ensure a fun experience is by shopping with a regulated and credible seller. So if you’re in the mood for some tasty, relaxing fun, head on over to The Dispensary NV nearest you!